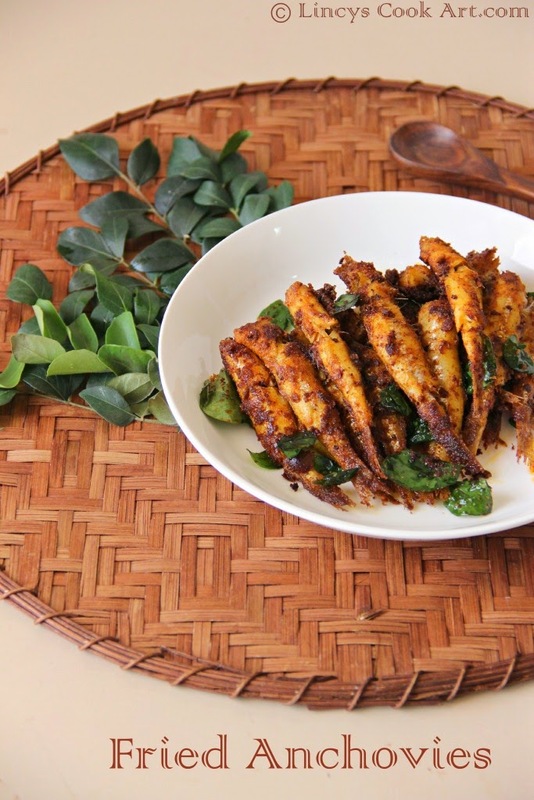 Netholi Fish Fry/ Varuval is a delicious fish fry recipe. Goes well with Rasam, Dhal curry, Sambar and with curd. Simple yet delicious dish. 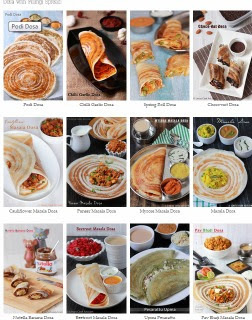 Easy to make; flavoured with curry leaves and garam masala. You can deep fry or shallow fry this fish. If you shallow fry it may stick on the pan and the masala might burn. If you deep fry with lots of oil the masalas sticking to the fish will go into the oil because the anchovies do not retain much masala. So keep around only a quarter cup of oil to fry the whole lot. Rice flour is used generally to fix the masala with fish and make it crunchy. Sometimes the rice flour after frying the fish tastes bitter. Since i do not like the taste and i always marinate the fish and sprinkle a half teaspoon of chilli powder over it. So that the fish do not stick together and become a little dry on outside and remain spicy and crunchy even if some masala is lost in the oil. In a bowl add turmeric powder, chilli powder, ginger garlic paste, pepper powder, garam masala, lemon juice, salt and mix well; add some water and make as a thick paste or apply as such which one is easy for you. Apply over the cleaned fish and allow to marinate for around 10- 15 minutes. Now Add extra half a teaspoon of chilli powder over the fish prior to fry the fish and mix well. Heat oil in a pan and fry the fish into 3 batches. Fry both the sides of the fish by turning the fish; once you turn to the side add the curry leaves when you fry the other side of the fish. The fish also gets the flavour and the curry leaves becomes crispy. I want that plate of irresistible fish fry, cant take my eyes from ur clicks.